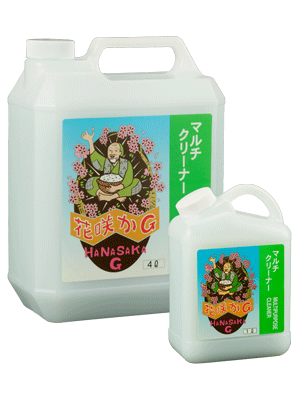 Hanasaka G Multi Cleaner is a water-soluble degreasing cleaner cleaner that dilutes 3 to 30 times with water and uses at room temprature. Unlike things that "dirt falls but fingerprints disappear" things , there is no ignition, smell,irritation. it is gentle on the hands and on the enviroment and is a degreasing cleaner. Because it uses 3～30 times diluted with water, it is excellent in cost performance. There is degreaging detergency equivalent to trichlorethylene.